Another outstanding addition to the Joseph Pearce canon! 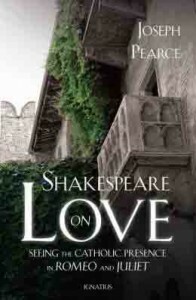 “Shakespeare on Love: Seeing the Catholic Presence in Romeo and Juliet” is a terrific read. Once again Jospeh Pearce helps us to see that the story we thought we knew is something very different when viewed with the Catholic Shakepeares len’s. Is Romeo a hero or a self indulgent cad? Is Juliet a free thinking woman or a relationship starved 13 year old victimized by an adult male predator? And how about those adults? Just look at what happens when Eros runs a muck, and virtue is replaced blindly in favor of vice! Let us not forget to mention the tragedy which occurs from bad parenting. Sexual desire and the gift of reason are explored in this compelling work by the prolific Pearce. Who would have thought a book about a 500 year old play would contain such important lessons for our lives today. 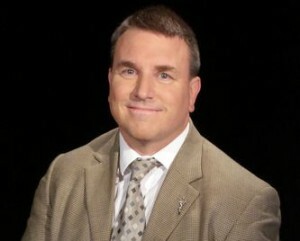 The post IP#222 Joseph Pearce – Shakespeare on Love on Inside the Pages appeared first on Discerning Hearts Catholic Podcasts.